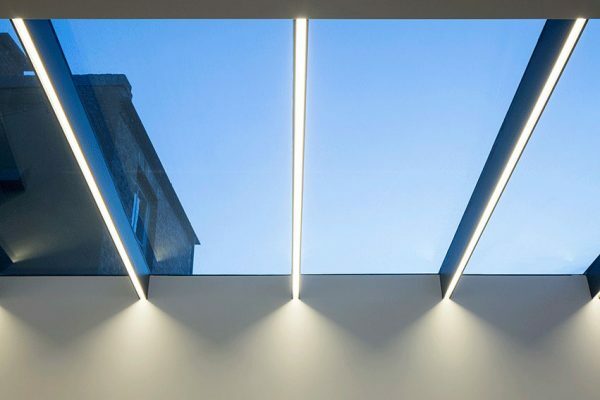 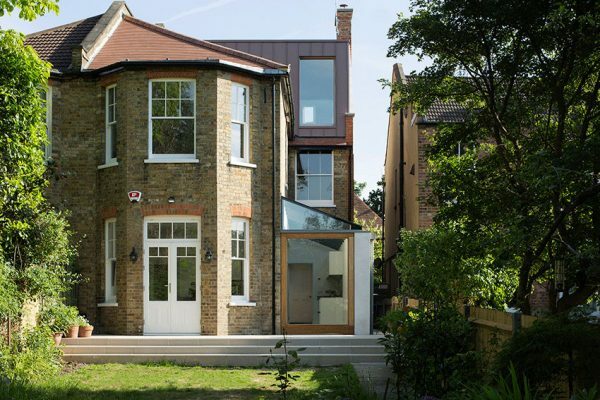 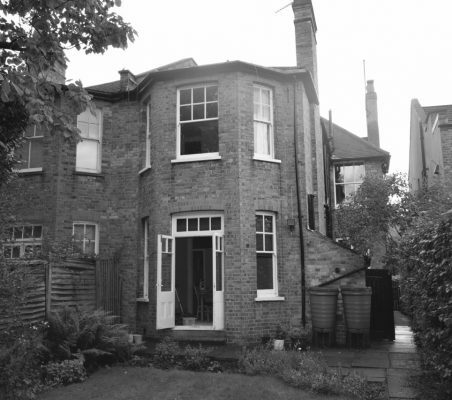 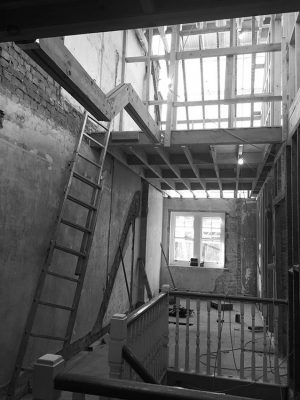 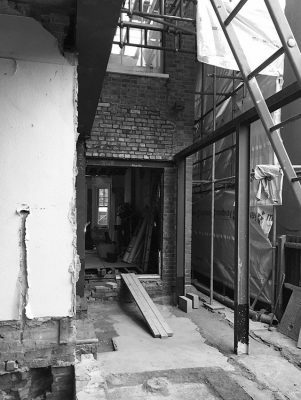 This residential project includes the complete refurbishment and transformative extensions to a semi-detached Edwardian house in Finchley, North London. 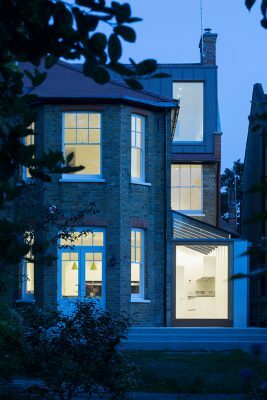 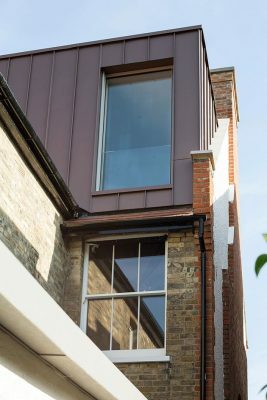 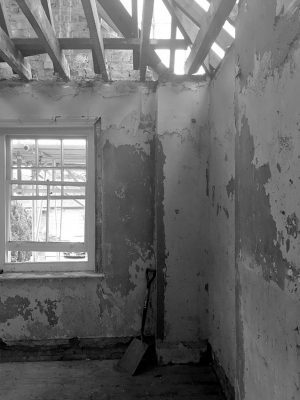 The client wanted ‘a loft… that doesn’t look and feel like a loft.’ We responded with a hip to gable roof extension and full width mansard, creating a generous and light filled third floor to the property. 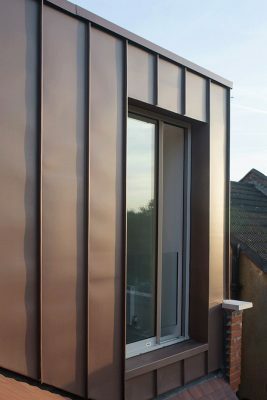 Red zinc cladding matches the red clay roof tiles and a large sliding glass window, incorporated into the façade, provides expansive views onto the surrounding landscape. 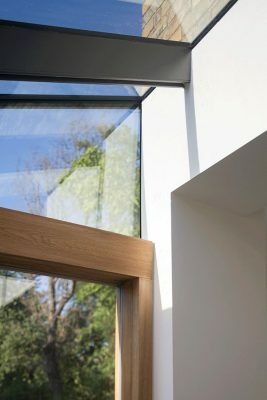 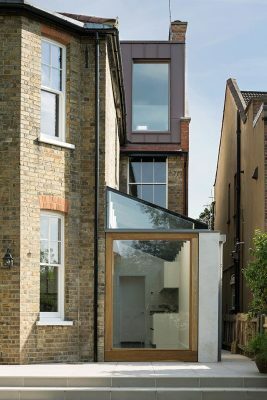 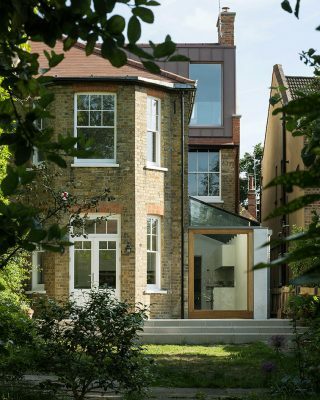 At ground floor level, a 15sqm side extension incorporates a large oak picture window, framing views to the garden. 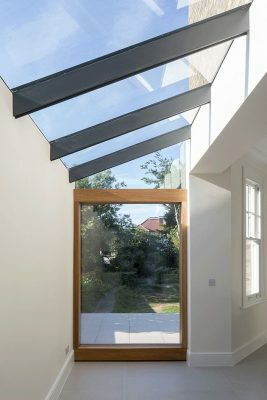 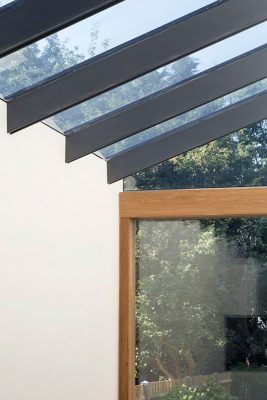 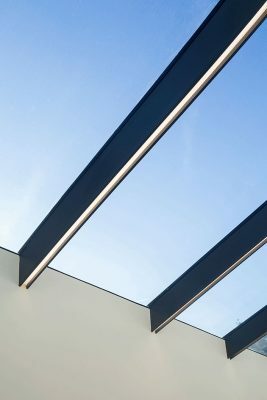 Steel fins support a glass roof that floods the kitchen with natural light. 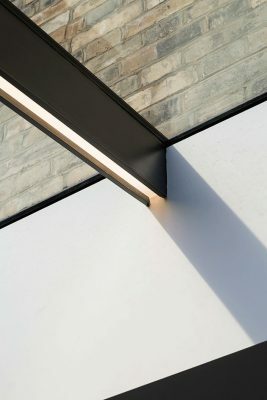 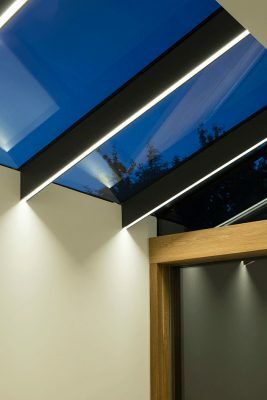 Discrete LED strip lights, carefully integrated into the fins, create an elegant and functional way of lighting the space at night.